Dumbwaiters Carry food and plates from Kitchen to Room, kitchen to kitchen or from kitchen to the place of serving. The cabin and the doors of all the dumbwaiters are manufactured using Stainless Steel. The vertical bi-parting doors are well suited to optimize the space utilization.The Dumbwaiter travel so smoothly that each time it travels you can ensure no damage to your valuable crockery. Step into our lifts and step into the future. You are important to us. 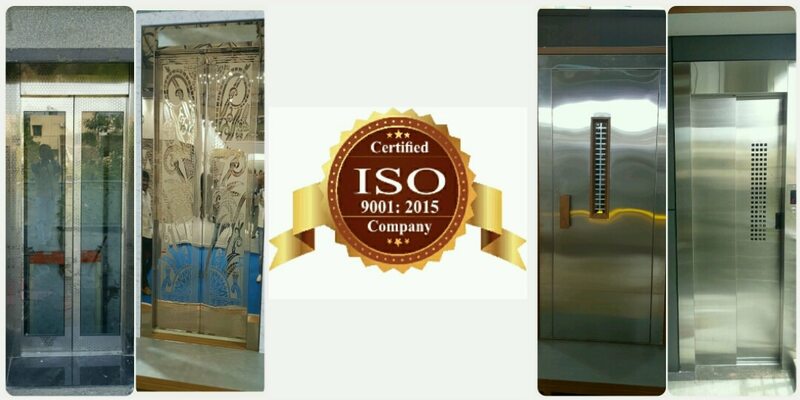 Make us the best Home Lifts and Elevator Suppliers.Our elevators come to you courtesy of one of the finest Home Elevator Suppliers in Hyderabad and are custom made and easy to install. Our Home Elevators are equipped with many standard features, making them unique in a competitive market. We offer multiple door options to match the infrastructure of the building in which it is going to be installed like; Automatic SS Framed glass doors, Frame less glass doors, SS doors, Designer doors and Manual MS swing door, Telescopic manual door. The doors are designed in a way so as to give high priority to safety. They are also fitted with emergency backup power system for lights, locks and door operators and emergency stop and alarm. Our lifts are equipped with smooth take off and landing mechanism, to give the users a sublime feeling of ascending or descending without feeling a thing. We also warrantee a hassle free service. We as an unrivalled Home Elevator Suppliers in Hyderabad believe in pure customer delight. Let our home lifts and home elevators give you an experience of a lifetime. Our Mini elevators don’t need much space in your residence. There is no need for an equipment room for our mini lift for home. There is also no requirement for a pit/well below the bottom floor or above the top floor for these mi mini lifts. The other elevators usually require all this additional equipment. This means a smaller foot print in your residence and also reduction of cost and not so complicated construction process compares to the usual residential elevators.elevators with external widths oscillating from a nominal 30 inches to a spacious 52 11/16 inches. The type of elevator you pick will be contingent on your household’s space and needs. For single, standing riders, the PVE 30 will suffice.Having a lift in your home does not imply that you have to go overboard on your energy budget. Most of our home mini lifts use vacuum technology. It has many benefits over regular elevator models. Our vacuum elevators use the method of air pressure to lift and gently lower the cabin. Therefore, the result is that, the mini elevator itself uses an extremely minimal amount of electricity, ranging from zero during the descent to 4.7 kilowatts during ascension on the standard models. All of our mini home elevators are functioned by 220 Volts and range from 25-35 Amps.